Over the years we have come across so many bike safety features that they all kind of start to blur together. But the Globars concept from industrial designer Mitchell Silva is such a clever, common-sense solution that it stands out from the rest. 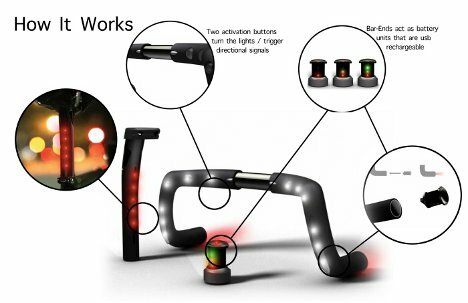 The idea is a relatively simple one: it consists of lighted bike handlebars that replace headlights and hand signals. 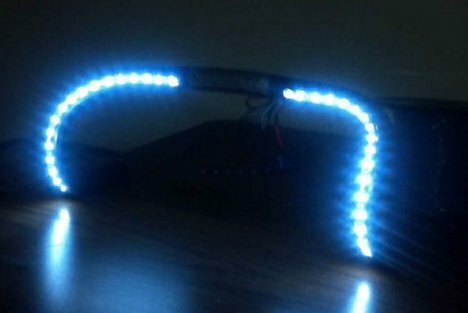 The lights are rechargeable LEDs that run on a simple watch battery. 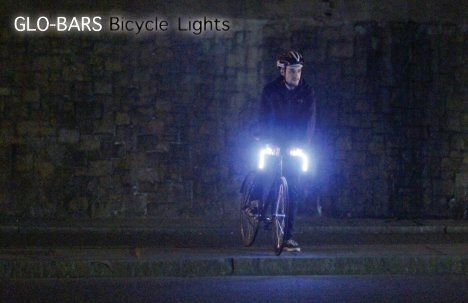 The bright lights keep cyclists visible even at night, and simple buttons activate turn signals so riders no longer have to take their hands off of the handlebars to indicate their intentions. See more in Bikes & Cycles or under Transportation. March, 2012.